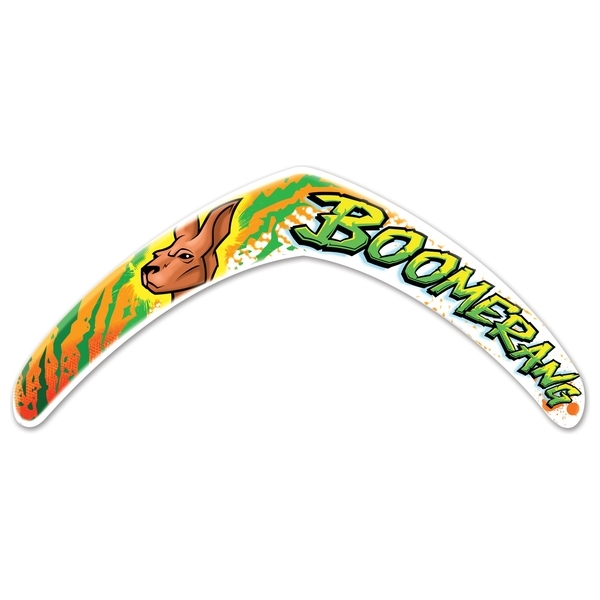 Colourful, brightly decorated Boomerang in soft aerodynamic foam. Hi-performance wing span ensures dynamic flight characteristic – it really flies back to you. Easy-to-follow throwing instructions for best performance. Ultimate Boomerang - really flies back to you! Soft aerodynamic foam. Throwing instructions and pro tips are printed on packaging for best performance.